Fun fact: the globe mug below is actually a global warming mug. When it heats up from the coffee inside, the continents melt away! Do you have any collections? Leave a link in the comments - I would love to see them! You are on your way to Coffee Mugs Anonymous! I have a few collections. Old S&P shakers, and French wire art (I think that is the name). Those shapes you see made out of chicken wire, only smaller. 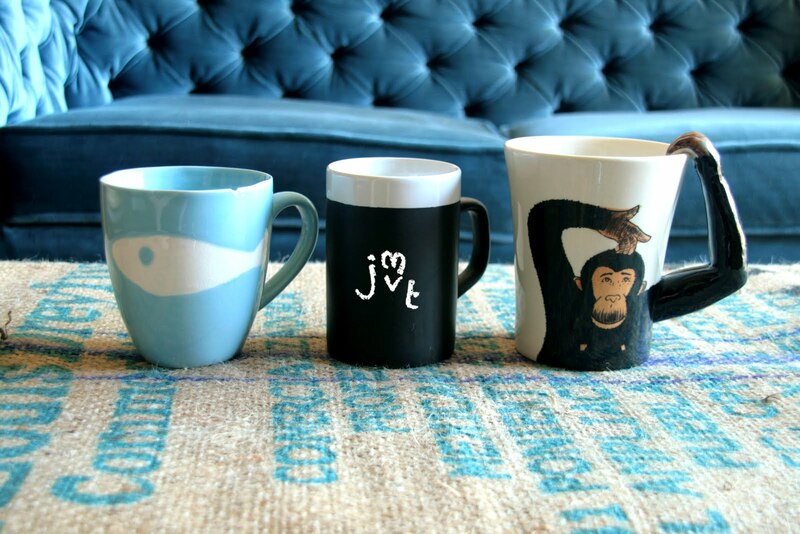 that monkey mug is ridiculous! it made me laugh. the global warming mug sounds really cool, i can't picture how it would work, i'd love to see it in action somehow! i don't have a collection due to the aspiring minimalist in me. i'm a pack-rat by nature, but then i go on random purges and clear out all the extra "stuff" that i don't feel i "need" but i've always wanted a quirky collection like yours. The cow mug with the cow-shaped handle... We totally used to have one of those when I was a kid. I wonder what happened to it. I guess it found its way to your house?